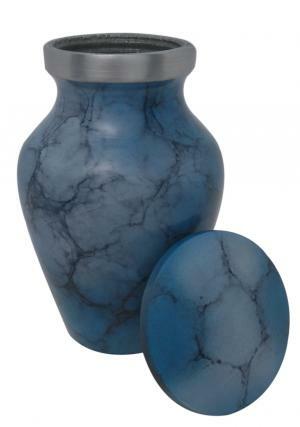 Blue Swirls Pearl Mini Keepsake Aluminium Ashes Urn is enameled beautifully with engravings of light blue swirls and finished smoothly. 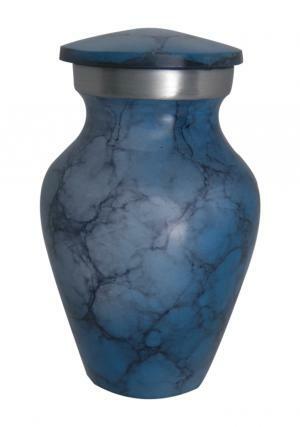 Small keepsake urn will make a perfect memorial urn to preserve ashes of the loved one’s. 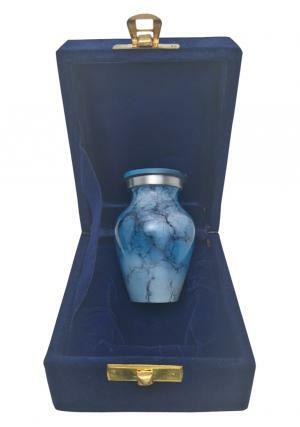 The mini keepsake funeral ashes urn is presented with neck band made in aluminium finish with lid closing screw threading to secure the ashes of the cremated. 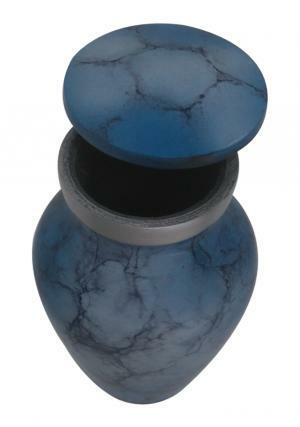 Mini Pearl Keepsake Aluminium Ashes urn stands 3 inch tall with 3 cubic inch of ashes carry space, measures 0.2 kg and width of 2 inches.